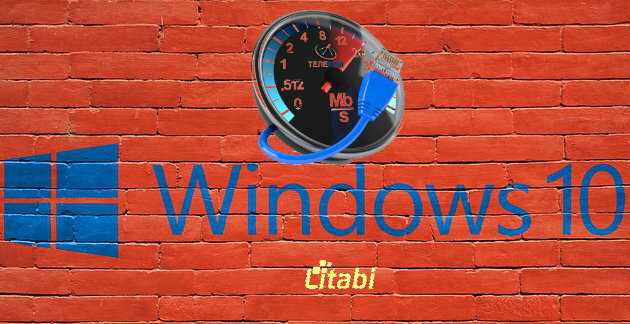 Home » OS » Windows » How To Increase Internet Speed On Windows 10? How to make Windows 10 faster while working online? It’s a common question! 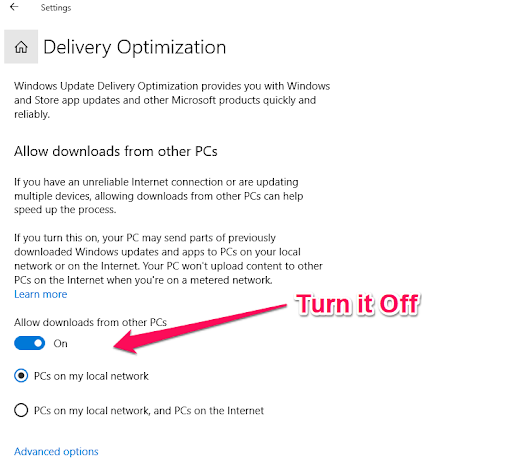 Let’s see some helpful tips to improve the Windows 10 internet speed! Working with a slow Internet speed is really frustrating. Whether you are doing the research, writing a project, or doing anything else on Windows 10, you won’t get much achieved if the Operating System crawls at snail speed. Such a slow speed will waste your time and energy. The pains of missing deadlines cannot be quantified. That can be frustrating. Internet slow speed can be caused by a lot of factors! Notable causes of the slow net speed include issues with the Operating System, slow speed from your Internet Services Provider, background activities, or some problems with your personal computer. Regardless of the cause, you shouldn’t be stuck with a slow internet speed as it will waste your time and other resources. You can fix this problem with some simple but effective solutions that have been tested and proven useful. So, how to overcome this embarrassing situation and let your Windows 10 hit the Internet like a super jet? Let’s see in this blog post! When applications run in the background, the Operating System allocates some space to them. It takes a portion of the speed and generally results into reduced speed for the OS. A simple practice such as reducing background applications will reduce the amount of space allocated to the background applications. It will automatically result in increased speed for the OS. Some applications such as Antivirus software, graphics card drivers, Google Drive, Dropbox, and some torrent applications are bandwidth-consuming and hence when any of these applications are not in use, disable them and free the bandwidth allocated to the application. Go to the Windows Taskbar and right-click it. 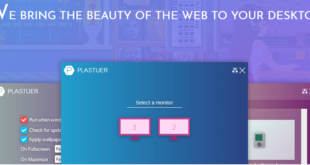 When you click this tab, you will see the list of applications on your system and take a look at those with the potential to consume more bandwidth. These applications have huge send/receive requests. You can disable them on your PC. 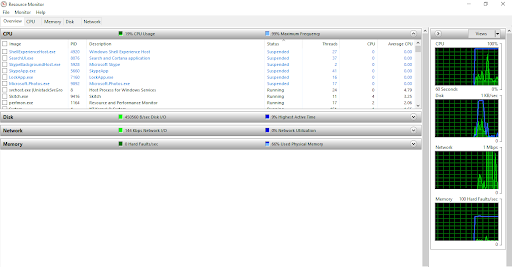 Note, however, disabling your antivirus software makes your PC susceptible to attacks. Exercise caution here. OneNote app is a Windows 10’s component by default. Whether you like/need it or not, you have this app on your Windows 10 OS. However, some Windows 10 users use this app while some other users don’t have any use for the app. If you use the app, kindly ignore this tip. If you are not using the app, remove it from the OS and free some bandwidth for use. It will automatically remove the app from your OS and get you some extra bandwidth for the system as well. So, uninstalling the OneNote App is a good internet speed booster for Windows 10. Some Windows 10 users may be upgraded from previous Windows version to the 10 version. However, such upgrading comes at a price. The drivers may be lost during upgrading, become outdated, or you have wrong network drivers to contend with. You may have to contend with some upgrading-related errors you were not previously experienced with the older Windows version. With a tool like Driver Talent, you can easily upgrade your network drivers with relative ease since the tool will personally ensure that your computer is matched to the right drivers. It then downloads the appropriate drivers automatically in a couple of minutes. The icing on the cake? The tool is free. Another effective strategy against slow speed is to turn off update delivery. If you follow the few steps below, you can turn this feature off without delay. Locate the Update and Security option. Sometimes, your hard disk may be partially responsible for the sluggishness experienced by your system if you are using this OS. It is usually the case if your hard disk is filled up with tons of files. You can clean up your disk to make more space available and improve internet speed of Windows 10. 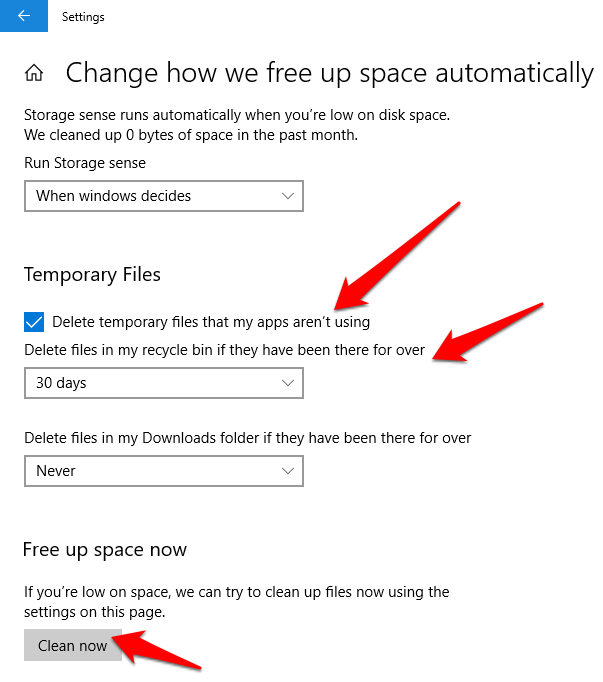 You can take advantage of the Windows 10’s built-in Storage Sense to do this without stress. After changing the toggle to on, the OS will go through your PC and sort you junk files that are rarely used. Some dormant files in the Downloads folder and other temporary files will be deleted immediately. The same applies to files in the Recycle Bin and temporary files. If you wish, you can customize the Storage Sense feature so that it will create more space than it is designed to free up by default. To do this, click the “Change How We Free up Space Automatically” and a message box will pop up. You can then select the frequency of your choice from the available options such as every month, every day, Windows, or every week. This will increase the frequency at which your hard disk is cleaned to ensure that unwanted files don’t constitute a nuisance to the OS and finally boost the Windows 10 internet speed. These are some practical ways you can give your Windows 10’s speed a massive boost. Implement any of these tips, and you will see a positive impact on the net speed. I hope you will get a solution to increase internet speed on Windows 10 through this post. 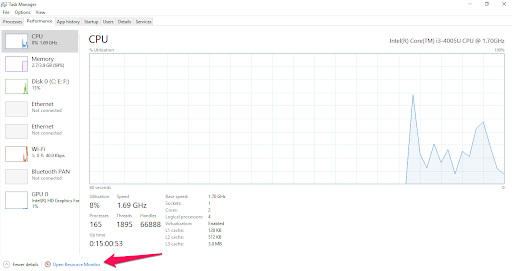 Let me know if you have any other useful tips to boost the net speed on the latest Windows version.